The next day was a new day and I was hoping (more like praying!) that it was going to be a better day than Monday. I suppose anything was going to be an improvement compared to the day before but i’m happy to say that Tuesday actually got off to a really good start. If you read my previous blog post What a day you will know that I had a pretty horrific day with Kory on Monday. He behaved quite badly and afterwards I disciplined him the best way that I knew how which was to take his things away from him and totally ignore him for the rest of the day and it was hard to say the least but I stuck to it and I’m glad I didn’t give in because it must have worked somehow. I’m not saying that Kory is never going to throw another tantrum because let’s be realistic but since our ordeal, Kory has been more like his usual, happy self, he’s been listening to me and there has been zero screaming and shouting so I would say that’s an improvement. I’m actually quite proud of myself for the way that I handled and dealt with the whole situation. I very easily could have lost my sh!t and screamed right back at Kory but instead I tried to remain as calm as I could considering. I feel like Kory’s bad behaviour had been leading up to that day, it started off with a little answering back and shouting here and there and I probably should have been stricter from the start but for me, he crossed the line on Monday and that was the last straw. I knew that something needed to be done and I feel like his punishment was necessary. I’m really hoping that this good behaviour continues but for now, I’m going to put my feet up with a cup of coffee and flick through the tv. I think I’ve earned it. When your children act up in public, how do you deal with the situation? How do you discipline your young children? It’s a hard one isn’t it and it’s something that I’m still figuring out. What a day Monday was. I woke up and started the day with every intention of having a nice day with Kory. Despite having a late night the night before, he actually woke up in a pretty good mood. We had breakfast, we got ready and I took Kory to football like I do every Monday and my mum and grandad decided to join as well so that they could see Kory play as they hadn’t been before, which I thought – well that’s going to be nice for everyone! And it was, for the first 20 minutes or so until Kory started to behave like a complete and total brat. He was shouting, screaming, pushing, he wouldn’t listen and he was smacking me too. It got that bad that I ended up leaving early and making Kory leave too which he didn’t want but I also wasn’t going to stand for that sort of behaviour. I can honestly say, in his whole two and a half years of being here he has never behaved so badly and I wasn’t paying for him to go to football for him to ignore everything anyone was saying to him and I certainly wasn’t rewarding that sort of behaviour or allowing it. Humiliated, angry and upset, there was lots of tears from both Kory and from me! Kory had pushed every single one of my buttons and I just wanted to go home. My partner rang me just to ask if we were both okay and I broke down on the phone. It was awful. Who knew a two year old could make you feel so frustrated! I’d like to say that things improved once we got home but they did not. I don’t believe in smacking Kory, that’s just not my way of disciplining him. Instead, his punishment was to have his iPad taken away, he wasn’t allowed any sweets, chocolates or treats and he was to stay in his bedroom but that didn’t stop him from asking for them or for throwing yet another tantrum when I refused. I don’t enjoy disciplining Kory, I’m sure no one else enjoys disciplining their kids either but I suppose it’s a part of parenting. It’s just a part of parenting that I don’t find fun and find really hard to do but if Monday taught me anything, it’s that I needed to stick to my guns if I wanted to nip this behaviour in the bud right away. I don’t think I’ll be able to show my face at football next week. When Kory was behaving like he was, I felt like everyone was looking over and judging me as well as Kory. He was the only one misbehaving! Why did it have to be my child that couldn’t just behave?! So that was our Monday. I hope you all had a better Monday than I did! Over the weekend me and my partner, Rory, had a well needed date day. It had been a while since we had spent any time together just the two of us and it was nice. I love Kory to pieces but sometimes you just need that time to yourselves to be reminded that you’re not just parents, you’re still a couple too. Which can be hard to remember when it’s been so long since you last spent any time together properly. I remember before we became parents, date days/nights were a weekly occasion and now it’s once every so often when we finally get to do anything together. It’s hard to find the time; work gets in the way, life in general, parenting and before you know it it’s been months since you last did anything or went anywhere as a couple. Not that I would change a single thing about being a parent but when you’ve just been ‘mum’ all day, every day for weeks, it’s nice to be reminded that you’re still an individual too. We had a really nice day together, we had dinner at Handmade Burger Co the food was delicious and very inexpensive for us as my mum had bought Rory a voucher from Wowcher for 2 to eat here for his birthday in January that we had only just got round to using! So we only had to pay for our sides and drinks. After that we headed into town to do a little bit of shopping and even though Kory wasn’t with us, we still came home with a new toy and some new trainers for him! We don’t always get to do things like this as much as we’d like to but it’s always really nice when we do. Hi everybody! Here is my next book review. I was very kindly sent a digital copy of this book in exchange for an honest review. I thoroughly enjoyed reading ‘A Fool’s Circle.’ The book had me hooked from the very first page and I just couldn’t stop reading it! Although, I did find certain parts of the book difficult to read and at times quite distressing. Mainly when it came to the chapters that included Kate and Alan’s deeply abusive relationship and the domestic violence that she had to endure. But I do feel like the abuse Kate suffered was necessary to the story and needed to be included to show just how much she’d been through. I felt so much sympathy for Kate and her young daughter and as the reader I was hoping so much for them that they could find a way out from the abuse that was part of their every day lives. I would like to thank author Suzanne Seddon for writing ‘A Fool’s Circle,’ such a truly gripping story that I have had the great pleasure of reading. I feel like I haven’t posted anything on here properly for a while but with it being half term here I just haven’t had a minute! Me and Kory visited an open farm. We both had a really fun day seeing, holding and touching all the different farm animals and learning all about them too! Kory especially loved the ‘pets corner’ which is something that takes place at the open farm a few times throughout the day, in pets corner they bring different baby animals out to show you and you can touch them and even feed them! It was a lot of fun and I already can’t wait to visit again with Kory. We’ve been to Southport for the day for fish and chips on the front, ice cream and for a walk along the beach. It was such a lovely day and what made it even better was that Kory’s dad was able to join us as well as he had the day off work. We’ve been to the park because what 2 year old doesn’t want to go to the park?! We’ve been for lots of long walks with Harley, our dog, because we can’t leave him out of the fun! And we’ve been for walks with Nan and Grandad too and we’ve even been for a picnic! It’s not often we get such lovely weather in February so I’ve really tried to make the most of it and to get us out of the house every day even if it’s just for a couple of hours or so for some fresh air. Also have you ever been stuck in the house with a bored 2 year old?! Not fun! So that’s what we’ve been up to anyway and that’s where I’ve been hiding if you were wondering! We’ve had a pretty busy half term… Has it been half term for your children? If so, have you been anywhere/done anything nice with your little ones over the half term? My Monday’s are usually spent trying to get the house clean and tidy after the weekend as I don’t really like to do the housework over the weekend because I’d much rather spend my time with Kory and Rory as that’s the only time that we all really have together. On Tuesdays and Thursdays Kory attends nursery, he only does two morning sessions and finishes by dinner time but by the time I’ve got him home, made him some dinner and got him changed out of his school uniform and into his pyjamas, it’s already the afternoon and more often than not he’s too tired from being at school to want to do anything anyway and normally I spend my Fridays food shopping and running errands. So on Wednesdays I especially like to make sure that me and Kory do something together that’s just the two of us, we normally go to the park, to the café or for a walk, I usually leave it up to him and let him decide how we spend the day so today when I asked him what he would like to do he said he wanted ‘chips and toy!’ Which in Kory language translates to McDonald’s. So today I went for a McDonald’s date with Kory. After getting dressed, we got wrapped up and headed out for a walk to our local McDonald’s. Whilst there we spoke about school, our upcoming holiday, things that Kory’s likes and what he would like to do once we got back home and it was nice. So that was our Wednesday. I wonder what we’ll get up to next Wednesday… How was your day? Yesterday was Monday and normally I would have the Monday blues. I love the weekends and spending time together as a family, in fact that’s the only time we get to spend together as a family so I always try to cherish the weekends but I still always end up feeling sad when Monday comes back round because that means Rory is back at work, Kory is back at school, I’m back to being on my own again and even though I have Kory, it gets lonely sometimes and I have a whole week to wait until it’s the weekend again! And boy, does Monday come round fast! But how could I be sad when this one is being such a sweetheart?! I mean look at that little face! Like butter wouldn’t melt! What an angel he is being! It was only the other day I was complaining about Kory’s behaviour but he’s honestly being such a well behaved little boy recently and it makes me so proud. Proud of him and proud of myself because even though I doubt myself on a daily basis when it comes to parenting, I must be doing something right when it comes to raising my son because he is kind, loving and caring and it shows. I know this is probably just a wonderful phase that he is going through at the minute and that I’m probably going to be in for a sh!t storm soon but let this mama have her moment! Recently we visited the Bolton Museum and Aquarium. We wanted to take Kory somewhere for the day but we couldn’t decide where and our options were limited… The weather was rubbish, it was freezing and raining which meant going somewhere outdoors was a no go and it was January too so we were skint and wanted to keep costs down. We ended up visiting our local museum. Kory had never visited a museum before so it was interesting for us to see how he’d like it – or if he would. Which he did! And It turned out to be a lot of fun for us all and better than that, it was totally free! We all had a really nice time, I hadn’t visited a museum for years, I don’t know why because I’m actually a bit of a history geek so I enjoyed myself anyway, I really liked reading all about ancient Egypt and the Egyptian mummies and I think Kory really enjoyed himself too, he especially liked looking at all the different fishes in the aquarium but most of all he loved seeing the different dinosaur skeletons! Museums and libraries are a great place to visit if you’re strapped for cash as they don’t have to cost anything, it gets you and the kids out of the house, you’re inside out of the miserable, cold weather and it’s something thats enjoyable for the whole family. Our day out to the museum cost us just £3.99 and that was because we bought Kory something from the museum gift shop. Entry to the museum was totally free, we took Kory a packed lunch so dinner didn’t cost anything and because went on a Sunday, we even got lucky with parking too and that didn’t cost us anything either! So that was our most recent trip to the Bolton Museum and Aquarium. Thank you for reading about our day. Have you visited your local museum recently? Is it just me or does everything just seem so much prettier in the snow? We’ve had quite a bit of snow where we live over the past few days so despite both me and Kory having colds, I wasn’t going to miss an opportunity for us to get wrapped up and to get out in the snow! It’s not often it snows here so I wanted to make sure that we got to experience it together. Kory was only a small baby the last time it snowed and he didn’t really understand what it was but this time he watched with amazement as the snow fell from the sky, he was so curious asking me all sorts of questions about it and he kept telling me how every time he walked the snow would crunch under his feet. We made snow balls, ran, kicked and jumped in the snow and then headed home to warm up as we were freezing! We are so lucky to live so close to all these fields… I love snow days. I can’t believe I have been awarded The Liebster Award! I have seen a few fellow parenting blogs that I follow be nominated for blogger awards but The Liebster Award is one that I hadn’t heard of before. I would like to start by thanking Mindy Leslie from I Blame Your Dad for nominating me this for this award. Having never been nominated for a bloggers award before, I am incredibly grateful to you for giving me this opportunity and I can’t thank you enough! The Liebster Award exists only online and originated in Germany. The word ‘Liebster’ according to its German origins means kind, sweet, pleasant, welcoming, beloved and lovely. Which is why this award is for bloggers who not only support their community but are also trying to reach the world. This award is given to bloggers by other bloggers. 1. Write a blog post and include your award graphic in your post. 2. Thank the blogger who nominated you. 3. Answer the questions asked of you by your nominator. 4. Create your own set of questions for your nominees to answer. 5. Nominate five to ten bloggers deserving the award. Share and link your post to their blogs so they can accept their award. 1.) Who inspires you the most? Honestly, my son. Becoming his mum made me become a better person. I wanted to be a better person for him, he inspires me to be a better person every day. I’ve never thought of myself as a particularly selfish person but becoming a mum definitely taught me the meaning of selflessness. Being his mum has made me more compassionate, mindful, appreciative, thankful and blessed. 2.) Where is the number one place to travel on your bucket list? I would love to travel all over America with my partner and our little boy but I would especially like to experience taking Kory to Disney World. That is something that would be truly special for us all, an experience that would be out of this world and we’d make memories that would last us a lifetime. 3.) What songs are on your motivational playlist? When I’m feeling down and in the dumps and feel like I need a pick me up, I definitely stick on my Beyoncé playlist. There is something about listening to a strong, powerful, independent woman that makes me feel like I can take over the world. 4.) Do you have any pets? If so, what? If not, why? Yes. We have 2 cats; a boy and a girl, their names are Bobbins and Tilly and we have 1 dog. He is a golden cocker spaniel and his name is Harley. I grew up around dogs, some of my best childhood memories are from time spent with my pets and I’m still a huge animal lover now so it was important to me that Kory grew up around pets too. 5.) What is your favourite quote? ‘I am in charge of how I feel and today I am choosing happiness.’ This quote is one of my favourites because I feel like it speaks to me. Throughout my life I have always had internal battles with myself, with my own mind. Sometimes I am my own worst enemy. At one point in my life I felt like I was at my lowest, I was diagnosed as clinically depressed and had an eating disorder because I was unhappy being me, I disliked myself and the way that I looked. I have come a long way since then and I don’t let myself think that way about me anymore. 6.) Where do you see yourself in five years? In five years I would like to have progressed in some way with my blog. I would like to be able to work from home, helping out in a school or at least have a part time job. I would love another baby and we will be married. 7.) What are you most passionate about? I am most passionate about being a mum. To some people they are most passionate about their careers or money or their friends but to me, being a mum is the most important thing in my life. Being a mum is probably the most important thing that I will ever accomplish in my life which is why it is what I am most passionate about. I’m just another mummy trying to make a difference by documenting my parenting and mental health journey. Hiya, I’m Holly I’m 28 years old and a mummy to a 4 year old little girl and 20 week old boy/girl twins. Our blog shares our adventures as a family, my pregnancy with the twins, birth stories and general parenting support. Come and join us on our adventures! A blog all about adventures as a proud mother, a patient wife and ex-pat life. After finally overcoming our fertility challenges, we find that life as a family of three in a new country presents a whole new set of tests and exciting opportunities. 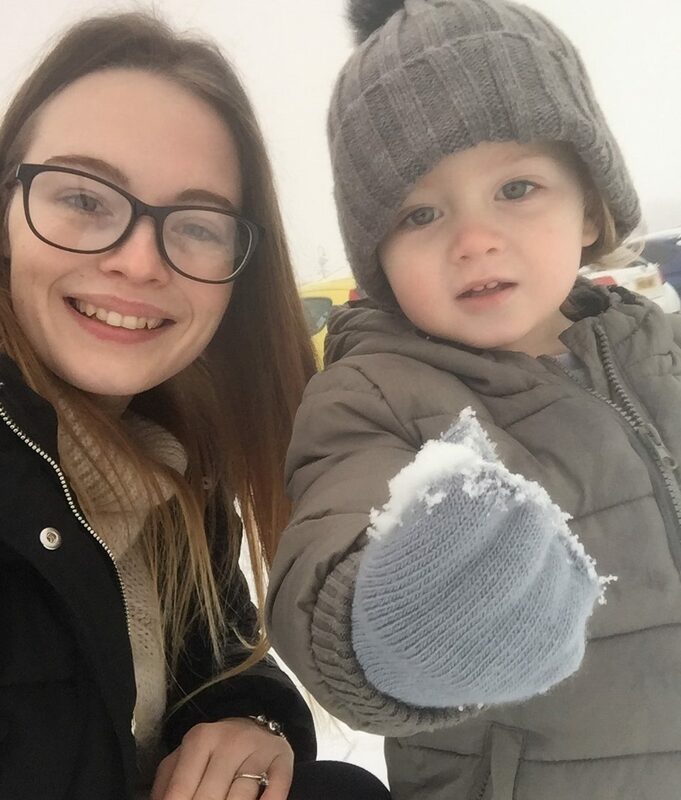 My name is Jayde and I am a solo parent raising my son, Marley in Cornwall, UK. I work full time as a manager in retail and I spend my days off on the beach or exploring with my boy. Follow my journey of motherhood through my squares of Instagram or on my online blog. Sharing our real family life, from days out, to the mama struggles and day to day juggles of our working life. 1.) Who has been the biggest influence in your life? 2.) What is your biggest goal in life right now? 3.) What were you like as a kid? 4.) What is one thing that I should know about you that I’d never think to ask? 5.) If you had to describe yourself using only 3 words what would they be? 6.) What is something that makes you happy? 7.) What was it that inspired you to start blogging? Again, I would like to thank Mindy for nominating me for this award. I also want to thank all of my nominees for being such honest, amazing mums. You are an inspiration to me, keep doing what you’re doing! Hi, I’m Kirsti-Marie but you can call me Kirsti, Kirst, Kir – whichever. Welcome to my blog ‘Life as The Lonsdales’ where I talk about all things family life, honest parenting, motherhood struggles and everything in between. I first started blogging on Instagram just for fun but after a while I decided I wanted to get more serious about blogging and that’s when I started using WordPress. I am engaged to my long term partner, Rory. We have been together since we were kids. I am a first time mum to our beautiful son, his name is Kory and I’m mum to our fur babies; we have 2 cats and 1 dog. If you follow my blog, you’ll be hearing a lot more about me, Kory, our family and what we get up to. Other than being a mum, I enjoy reading, anything arts and crafts, blogging (obviously), gaming and shopping. Sorry if you were hoping for something a bit more interesting – I’m actually rather boring! If you’d like to know more about me or my blog, feel free to contact me. You can find my contact details by heading to the ‘contact’ page.